Introduction by @TrueGodImmortal – There are some rappers and MCs that transcend the culture. They become even bigger than Hip Hop in the neighborhood, they become worldwide icons. They become the greatest. They became legends. One of the first true legends in Hip Hop, Rakim, is our topic of discussion today. 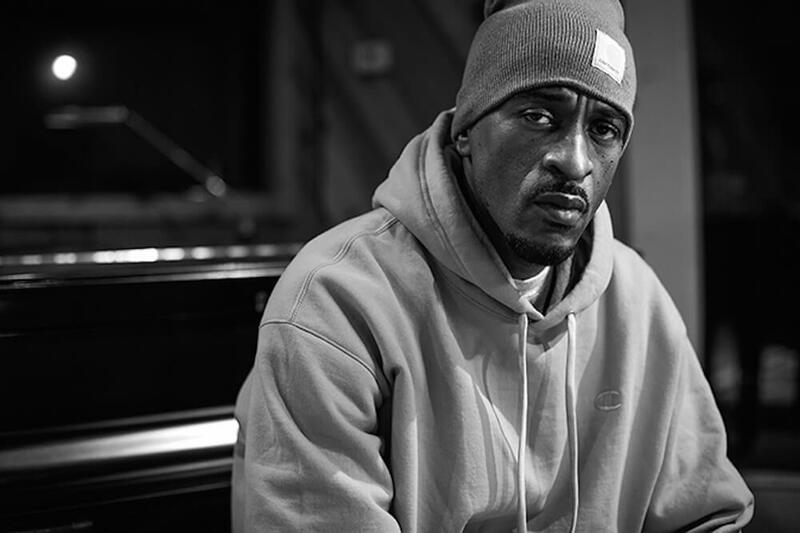 Yes, you might know him for crafting classics next to Eric B., but make no mistake about it, Rakim is the premier lyricist in the history of the genre and one of the most influential artists in the entire genre of Hip Hop. Today, we wanted to continue our DAR Legends series with a look at the incomparable Rakim, talk some of his greatest verses, and his legacy as one of the true pioneers of the game. @CherchezLaPorsh – There are a few MC’s who are frequently mentioned when talking about legends, but there is only one that is widely known and considered as the “God MC”. He’s someone who has influenced hundreds of artists and has established himself as the greatest of all time IMO. 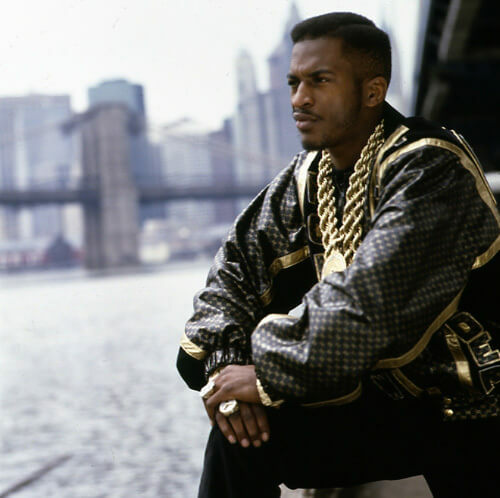 Hip Hop would be introduced to Rakim back in 1987 when he paired with friend and DJ Eric B. The two became Hip Hop powerhouses and through each album release, Rakim’s “God MC” claim became clear. Those of us who are familiar with the duo know the standard which they set. Eric B mastered scratching and DJ-ing while Rakim fascinated us with his lyricism. 1992 would give us their last album together “Don’t Sweat The Technique” and while the complications and label legalities were plentiful, Hip Hop said farewell to one of the most influential duos and the only MC that proved he really was “godly”. 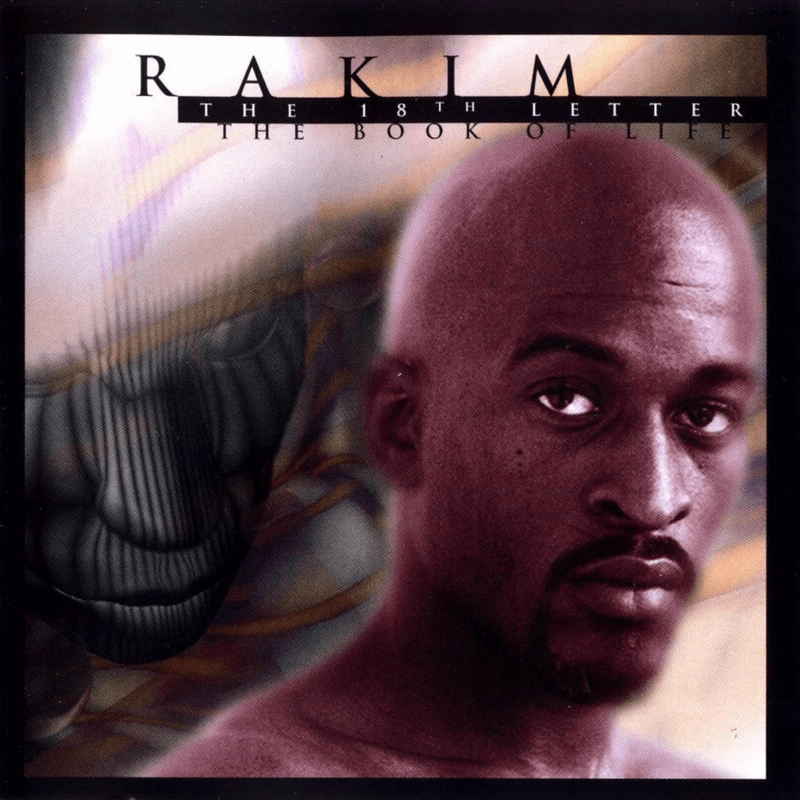 So what makes Rakim such a God in Hip Hop? It’s his ease of delivery, the intricacy of his lyrics, the precision in his word choice and metaphors and of course his impressive level of creativity. His articulation and eloquence are still unmatched and while many try to uphold the purity of Hip Hop, Rakim did this naturally and consistently. 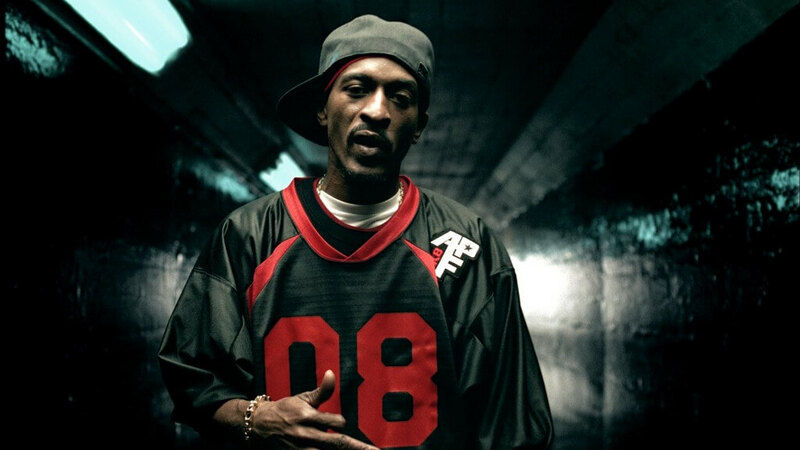 1997 would be the year Rakim resurfaced and he was better than ever (if that’s even possible). He dropped his solo debut The 18th Letter and once again fans were amazed. Apart from his early work, this would be my favorite album in his solo catalog. Rakim has always managed to have impressive production on his albums and this one was no different. DJ Premier, Pete Rock, Father Shaheed and a few others made this flawless. Each track met the standard which he set (for himself) so many years before thus making it one of the greatest releases of the year. Every track is great to me but the one that stands out the most is “Guess Who’s Back”, as it’s got impressive tempo, incredible energy and it’s the perfect display of Rakim’s rapping prowess. In fact, the first verse shows exactly why he’s godly. He rhymes words in the middle of each line/bar and at the end, while also changing the rhyme pattern every few lines and he manages to match it seamlessly with the increase and decrease of the beat. It’s flawlessly delivered and so effortless. Although Rakim was never (and will never be) a big time household name in the mainstream so to speak, he established his ranks in the genre. He’s a favorite of purists and is credited for influencing almost every rapper of the “Golden Age” through his precision, confidence, eloquence and flawless skill. He referred to himself as a God MC and proved it over and over and over again. @JADBeats – Back in 1985, Eric B. found the perfect MC to take his beats to the next level. Rakim was one of the guys back then that would be unknowingly changing the game before my official introduction to Hip Hop. He’s the guy that my pops, uncles, and older cousins regarded as the best along with the likes of BDK, MC Shan & KRS-1. I really fell in love with Hip Hop around 1993, but growing up I remember Rap City and Yo MTV Raps playing videos like “Paid In Full”, “Microphone Fiend”, “I Aint No Joke”, “Don’t Sweat The Technique”, etc. The TV was always blasting while we were glued to it in awe. This man had a gift with words. It wasn’t exactly his message but more so how he said it with his relaxed and laid-back delivery with the ability to get aggressive at times. The way he boasts about his style with such confidence showcasing his clever, articulate, and metaphor driven flow with ease was so unique that no one could really copy. There are some rappers who just mesh perfectly over jazz and funk instrumentals, and Rakim is that. Although he has many classic songs, if I had to choose one it would be “The Punisher” of the Don’t Sweat The Technique album. He went absolutely crazy on that song. The song really embodied the title. It is one of those songs that you rewind to catch how dope the lines were. He’ll go down as the innovator of multisyllabic rhymes, internal rhyme schemes, alliteration with letters, referencing and sampling his old songs in new songs. There are two MCs we regard as the greatest now, who like many others, have borrowed or sampled from Ra like Nas when he says “I’m the N, the A, to the S-I-R/ and if I wasn’t, I must have been Escobar/” and Eminem’s “I am whatever you say I am, if I wasn’t then why would I say I am”, which are both inspired by “It’s The R”. He’s had ups and downs in his career, but has created so much greatness that it is set in stone. It makes me happy that I see producers, rappers, commercials and movies using Rakim & Eric B. songs to carry on their legacy. Ra is my favorite rapper’s favorite rapper or at least in their top 5 lists, so respect to The God MC. Outro By @TrueGodImmortal – Where do I begin? For a young MC myself, Rakim was a huge influence. Lyrically, his ability to showcase internal rhyme schemes, lyrical dexterity, and an abundance of wordplay is second to none. His influence on my favorite rappers like Nas, Jay-Z, and numerous others needs to be recognized. He’s paved a legacy that is majorly unmatched in the game and though as a solo artist later in his career, he didn’t experience the same success so to speak as with Eric B., I think as a lyricist, his strengths grew even more after this. Now don’t get me wrong, love Paid In Full, Follow The Leader, Let The Rhythm Hit Em, and Don’t Sweat The Technique, but I wanted to focus on Ra when he was on his own. 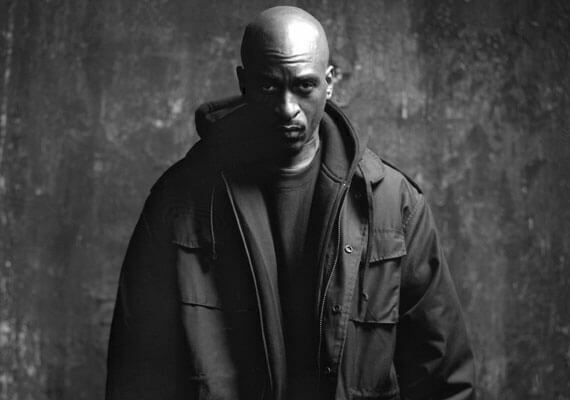 We hear so much of him with Eric B., and rightfully so, but aside from those 4 amazing albums as one half of one of the greatest duos ever in Hip Hop, Rakim has shown his lyrical growth through the three solo albums he’s had, most notably on The 18th Letter and The Master, his debut and sophomore solo. They be like, How that kid Ra reach the peak? I think verses like those showcase why Rakim is a top 5 lyricist of all time and the original complex lyricist in the game. His ability to switch rhyme patterns, stuff line after line into one couplet, and his precise flow is quite possibly unmatched along with a very recognizable voice. While most people would point to the Eric B. & Rakim days for their favorite memories of Rakim (and I understand why), I think more credit needs to be shown to his days as a top tier MC alone. We often overlook some of the greatest legends’ best work based on nostalgia. In my humble opinion, The 18th Letter and The Master, as well as The Seventh Seal gave Ra his own true identify away from Eric B., and solidified him to me as one of the greatest to ever do it even more. There are many in Hip Hop who aspire to legends, and one name that a majority will say is their influence is Rakim. That right there says more than enough.